The streets you walk are stone in the old city. People are milling around – some on the move while others stand talking to others or observing others. The smell of street food is constantly challenging you. Your ear detects music starting from within a nearby building. The rhythms remind you a fusion of African and Latin sounds; then a haunting bandoneon (concertina) and violin join the rhythm. The music draws you into the building like a magnet. The place is alive – some conversing, some focusing on the music, others dancing, and others watching the dancers in sync with the rhythms. Your soul is touched. You are hooked. The history of many dances is a combination of myths, legends, unrecorded history, known events of time and place, a blending of cultures, and word origins. The cultures of Africa, Portugal, Spain, Britain, Italy, Poland, and Russia integrate with the lower-class locals of Buenos Aires. The result – Argentine Tango. The initial spread of Argentine Tango is linked to the sons of wealthy Argentine families who travelled – but at home – Argentine Tango became an important part of their culture – even having a Golden Age (1930s – 1950s) – but then the military dictatorship suppressed the dance for nearly 30 years. Argentine Tango and Ballroom Tango (American and International) are different dances – not different styles of the same dance. Their 4/4 timing and musical rhythms have some commonality, but not always. Ballroom Tango is dynamic, dramatic, edgier, staccato, sharp, and strong – but Argentine Tango is sensual, intimate, personal, interpretive, and smooth. The dancer’s alignment to each other and their holds are different – as are the steps and their timing. The embrace refers to the contact and position of the dancing partners, which can be open, closed, or someplace in between. In the closed embrace, partners connect chest-to-chest, heads touching, and bodies leaning forward (think of an inverted V). In the open embrace, the space between the partners vary. No matter the embrace choice, the bodies should not be arched away from each other as in ballroom. Also unlike ballroom, arms are more inward with the elbows down (not out). 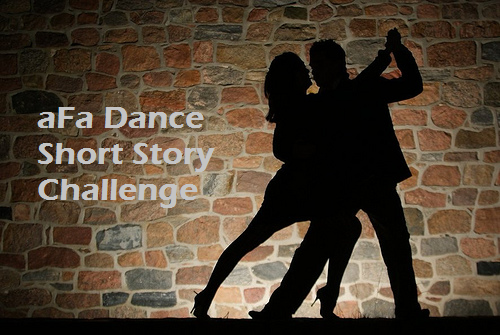 Because Argentine Tango is improvisational, communication must be clear and through the connections between the partners. For the lead, communication is subtle, so every little movement counts. Followers must tune in to detect the subtleties, so some followers close their eyes to immerse themselves into the embrace, the music, and the dance experience. Argentine Tango is two people walking together in the embrace. A step involves moving to all the weight being on one foot (which creates a free foot with no weight). The next step may include another step or a weight transfer to the other foot. There are many important aspects to the walk. For instance, pushing into the step is paramount over reaching for or falling into it – plus, maintaining a firm and balanced contact between the upper bodies in the embrace. The are two types of walks: parallel (even) and crossed (uneven). The video below involves two accomplished Argentine tango dancers – but note – they are just walking. Notice their embrace, weight shifts, posture, and how good they look doing the most-basic steps. Argentine Tango is not choreographed or fixed with predetermined patterns. Although a lead-and-follow dance, the subtle nature allows the dancers to appear moving as one. Besides the walk (caminar), other common steps/figures include the cross (cruce), leg hooks (ganchos), figure-eights (ochos), turns (giros), opposite-direction turns (contragiros), displacements (sacadas), foot-by-foots (llevadas de pie), cuts (cortes), breaks (quebradas), links (baleos), and others. Let’s bring back Sebastian and Roxana for a dance involving more than just walks. Not all Argentine Tangos are created equal because different styles exist that depend on factors as floor size, type of embrace, length of steps, speed of music, and culture. Styles as Salon, Milonguero, Milonga, Tango Nuevo, Canyengue, Vals, and others have their setting in both place and music. The big screen has provided a long list of Argentine Tango scenes through the ages. Here’s a snippet. Argentine Tango serves as an important backdrop in The Adios Buenos Aires (1938), The Tango Bar (1988), Tango (1998), Assassination Tango (2002), and Tango Libre ( 2012). Dances scenes also provide impact as in Four Horsemen of the Apocalypse (1921), Scent of a Woman (1992), Evita (1996), and Moulin Rouge (2001). Scenes from Shall We Dance (2004) and Take the Lead (2006) fuse elements of Argentine and ballroom into their tango. For those who want to compare, here’s my past post on Ballroom Tango. Personally, I know enough Argentine Tango to be dangerous because I rely on my ballroom instincts, musicality, and ability to improvise to be a solid beginner. On the other hand, ballroom also gets in the way of the posture elements necessary in Argentine Tango. I would love to learn more, but the city’s Argentine Tango studio is further away than we prefer. To conclude this post, below are 4 Argentine tangos to enjoy. Each is well done, different, and full of sensuality. Which did you watch or enjoy the most? Over the past few weeks, I have struggled with visiting other blogs and my own writing. Experience tells me that’s a sign of needing a blog break. Besides, I normally take one in the September-October time frame. So, the stars are aligning for me to take a blog break, thus I’m hitting the Pause button. Most of my blog-break time will be Level 1 – Total Abstinence – however, I will creep a bit of Level 2 as I hope to write a little during that time. (For those needing more information about the levels of blogging breaks, click here.) To help separate myself during the break, I’m turning off my notifications. Meanwhile, my comments are On because I will be phasing myself into break oblivion. Regular series as Monday Morning Entertainment and Satire Bits gave me a chance to share bits from my personal life, which many seemed genuinely interested. Now that those series are no more, so is my personal sharing – so going into the break is a good time for an update. After my year off, I didn’t return to the handbell choir, but my wife still plays. They recently played this version the Led Zeppelin classic – Stairway to Heaven. (Consider playing it as your background music while reading). My golf game started the season with a bang, but then I hit a 6-8 week spell of what I described as my worst golf in 30 years. However, I righted the ship. For those who miss my list of monthly, weekly, and daily celebrations, I promised to provide my main sources – and here are the top 2 – this one and that one. Ballroom remains part of our life. You may recall that I doing a tango routine for a showcase event at a private studio. It’s not with my wife, but she approves of my partner. It’s been an interesting experience, but because of the time commitment, I’m not sure if I would do this again. Nonetheless, here’s the song – which is a tad fast, so we slowed it down. I recently started serving as a volunteer in an English Second Language (ESL) program for adults. It’s off to a good start. Regardless of their individual reasons for being in the US, each of them wants to improve their proficiency in English. However, our season of ushering at plays is underway. We recently saw The Secret Garden, and young artist (Caitlin Cohn) in the lead role impressed both of us. We are curious to see how far she climbs on the ladder to stardom. I’m a Christian who believes in Interfaith dialogue and efforts – both within Christianity AND between different religions. The Friday’s Interfaith ceremony at the 9-11 Memorial in NYC was very moving! My initial plan is to stay away 3-5 weeks, but time will tell. I encourage you to visit bloggers you may not know -the good people listed on my Sidebar and those on the Blogroll page – especially the New Acquaintances section. Regarding all bloggers listed today, I hope to reorganize them in the future. To lead you into my break, here are several videos for you to enjoy. Take your pick – a singing two-year old, a singing comic, today’s comics doing their version of a classic routine, or a major hit from many years ago that still sounds great today. Wishing you all the best and in the words of Garrison Keillor, Be well, do good work, and keep in touch. They begin to move to the music’s sharp, fiery rhythms that are intertwined with sensuality. Their eyes gaze in opposite directions to avoid a visual connection, yet their bodies touch. They dance – they move – sometimes slow – sometimes fast – but always sharp and to the music. He rolls her out – they flick in unison. He tugs to rolls her back into his arms, but she shrugs him off by returning to hold with her head turned away … yet, the steps continue. He steps back as a lunge – a corté – she comes forward and raises leg against his, then slowly moves it downward as a caress. He notices – she got his attention. As he returns them upright, their eyes connect through a glimpse – yet they each look away. The pace seeming hastens, but the musical beat remains steady. Their moves remain sharp, yet their eyes are starting to communicate to the other through glances. Her body now has more of a lean, and she no longer faces away – thus her eyes and face speak to him when they lock their eyes for the first time. She places her head on his chest. The normally sharp fans are now slow and smooth – yet still to the music’s rhythm. As she turns, his right hand naturally slides along her sleek frame, thus noticing the curvature of her hips. His head is not as high – but starting to look down in hopes of connecting again. Her eyes are closed, but only she knows why – yet to him, her face displays desire. They are now in another place. To him, they are in the midst of passion. To her, she is the seductress who has succumbed to his desires. He responds to the music’s fire with 8 fast steps down the floor. He rolls out as before, but on her return, she is close – and her right hand slowly caresses his face. The music ends. They pause, and then smile to each other. She says, “Great dance”. He responds, “Absolutely” as they high five. Saturday is Dance Day and Down Syndrome Day – thus the perfect opportunity for a post about special people. After all, I imagine many may not see a link between ballroom dance and Down Syndrome. I volunteer at a weekly dance event that is not only fun, but one with ample opportunities for smiles because it is for adults with Down Syndrome. Some of the attendees are functional enough to have a job, but others aren’t. Some a more coordinated and able to move better freely, but others physically struggle. Toss in a wide range of speaking abilities, it’s quite a gathering of about 30 attendees and numerous volunteers. My smiles come from an action or something said. From a person running up to me for a dance to receiving a smile given by someone who has difficulty speaking. Simply put, the 45-minute session is a weekly delight in my life. However, these events are not about the volunteers, but about the attendees. First of all, it’s a social event. They arrive with smiles and race to greet their friends they haven’t seen in a week. That is followed by the power of music and dance as it speaks to them just as it does to the rest of us. Each week is the same. The 45-minute session starts and ends with the same song – the group’s theme song – a version of Over the Rainbow to which everyone dance a group routine. After a line dance or two, the instructor reviews the dance, and then a song plays for dancing. Another song for the same dance is the sign to change partners. The pattern stays the same through Rumba, Salsa, Waltz, Foxtrot, Cha Cha, Tango, and Merengue – with the latter quickly morphing into a predictable conga line. After another line dance or two, the session ends with the same theme song that started it all. I want to toast several of the attendees for the joys they give me. In lieu of Friday’s typical Opinions in the Shorts, here’s a look back at 2012. Besides, I still feel a bit overwhelmed from the hectic nature of the past few days. From the blogging perspective, 2012 was a successful year. By reviewing my 2012 posts, I selected one post from each month to feature the variety of topics that I embrace. From politics to religion to science to travel to ballroom dance and more, here is my look back at 2012. This collection also gives new readers a chance to learn about me and this blog – which could either encourage them to return or drive them away! For your comments, which did you read? To my long-time visitors, do you have any memorable posts that I didn’t include? To send you into the weekend, enjoy Disco Santa, which makes me laugh … and yep, sure sounds like the Village People. Have a safe weekend, and hopefully I can get a play-toy post together for your Saturday. Time to learn something about tango. After all, it takes two. Besides the info, see the artistry in the slideshow and the videos. Any favorites? By the way, in the video, the basic rhythm of the steps goes T-A-NGO. Movies that featured Tango dancing include (but not limited to) The Scent of a Woman, Evita, Moulin Rouge, True Lies, and Shall We Dance. Many consider Carlos Gardel to be the first great champion of the Argentine Tango. Which was your favorite video and favorite piece of art?